CURRENT TYLEE COTTAGE ARTIST-IN-RESIDENCE Julia Holden is known for her performance painting which expands the tradition of portraiture. 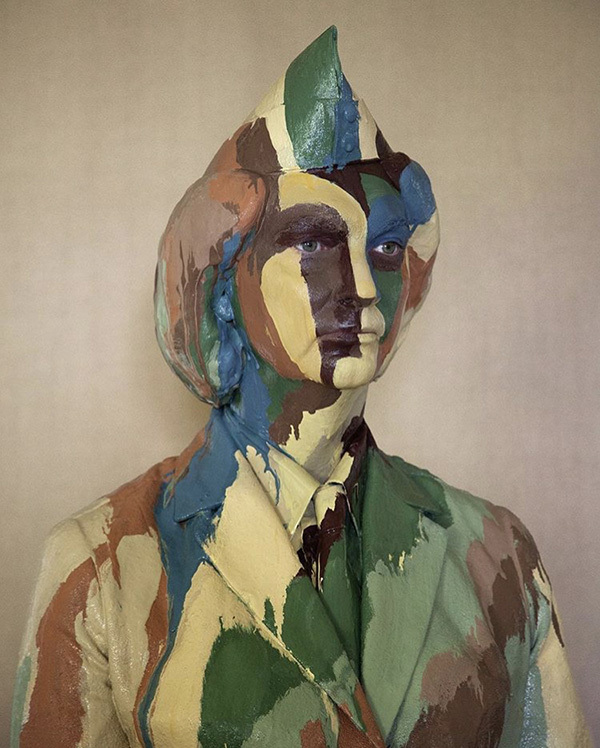 Using people as her canvas Holden clothes her models in bespoke costumes, clay moulded hairstyles and layers of paint, incorporating elements of performance, painting and photography in her works. 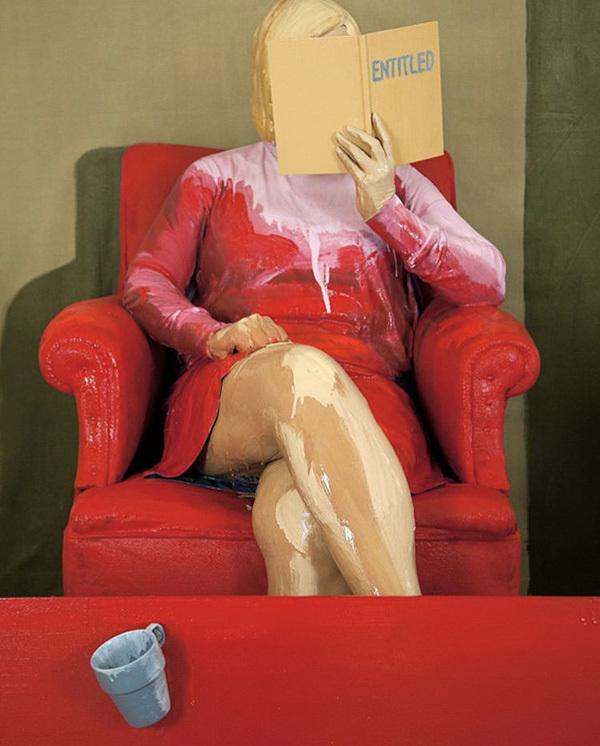 The subjects of these portraits are taken from well-known paintings, photographs and sculptural works. Holden’s paintings exist in reality only long enough to photograph and then the dripping paint is washed away. The photographic portrait is all that remains of the process. Holden’s Tylee Cottage residency coincides with the 125 year anniversary of women’s suffrage and the exhibition 125: Celebrating Women from the Collection, which is currently on display here at Sarjeant on the Quay. In honour of this occasion, Holden selected five portraits from this exhibition to recreate. These were Ann Verdcourt’s Wartime Wendy, Edith Collier’s Spanish Woman, Gottfried Lindauer’s Kate Sperrey, Michael Smither’s Untitled, and Yvonne Todd’s Maven Fuller. Holden invited volunteers from the Whanganui Community to be the living canvasses for these portraits, and the model’s names are listed in the titles of each work. Holden’s portraits can be found displayed alongside collection works, infiltrating the 125 exhibition with her distinctive style and humour. These works can be viewed as an homage to the original, but through Holden’s process they become something completely their own. The artist considers her works to be a conversation with the original artist across time, and hung in proximity to their inspiration they are certainly doing just that.